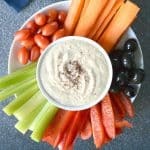 White Bean Dip is quick and easy to make with cannellini beans, tahini, lemon juice, water, and oregano. It’s oil-free, vegan, and gluten-free. Entertaining guests during the holidays is easy when you have simple delicious recipes and chilled beverages. Even at the last minute, you can invite some guests over with very little stress. 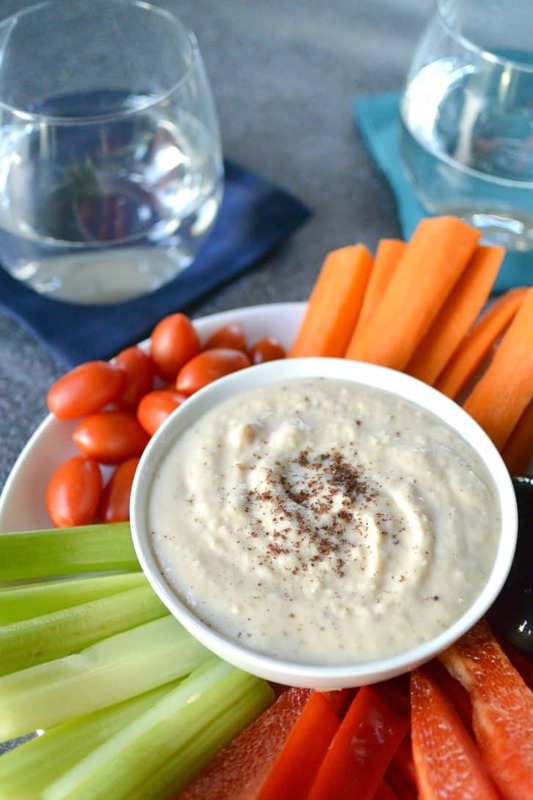 White Bean Dip with fresh raw vegetables is my go-to appetizer to serve with drinks. And in addition to wine or cocktails, I like to offer my friends a non-alcoholic option such as smartwater sparkling, which you can find at your local Albertsons. 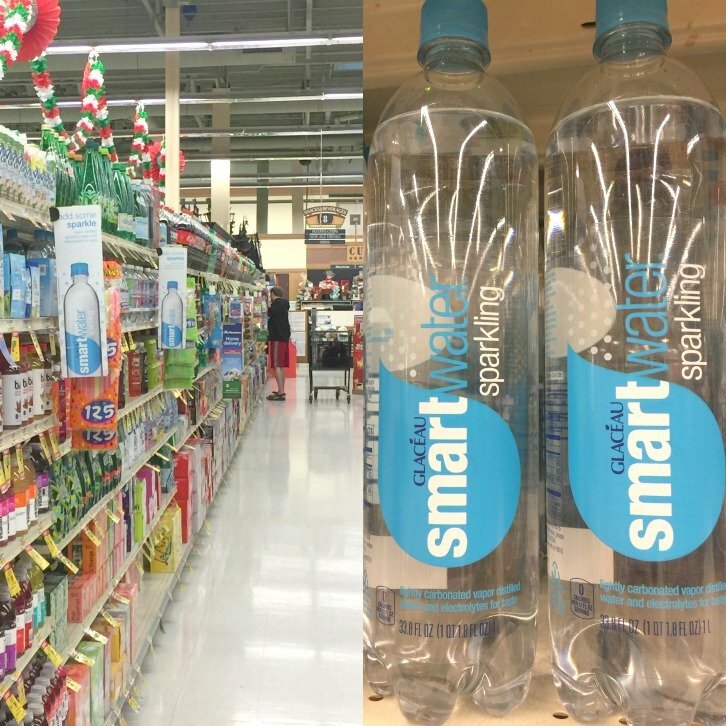 Have you tried smartwater sparking yet? It’s vapor distilled with electrolytes for taste, making it perfect for evening entertaining. I include it as part of my holiday menu. 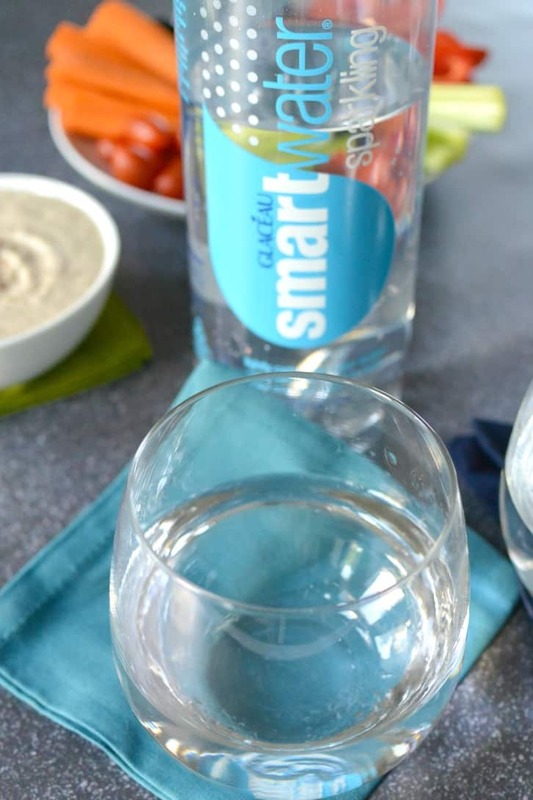 And smartwater sparking pairs perfectly with White Bean Dip. 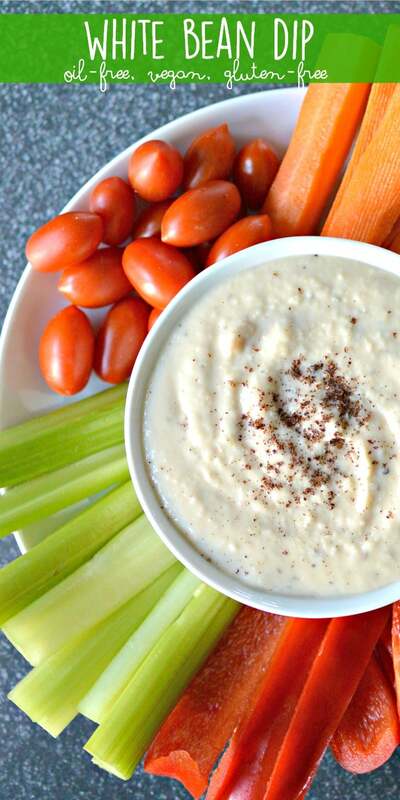 You only need a few ingredients and a food processor to make White Bean Dip. To save time, I use canned cannellini beans. Before I rinse them, I reserve two tablespoons of the bean water (aquafaba) to use in the dip to make it creamy without oil. Then I add the beans and the reserved liquid to a food processor along with tahini, fresh lemon juice, a clove of garlic, and some seasonings. Entertaining doesn’t get much easier! Plus you can make White Bean Dip in advance and refrigerate it until your guests arrive. I like to prepare it a day ahead of time. I also cut up some vegetables and store them packed in water so they stay fresh. Then I give the dip a quick stir and sprinkle a little sumac on top for some extra citrusy flavor. Sumac is worth keeping in your pantry to use in Middle Eastern Bean Salad (Balela) and Roasted Chickpea Fattoush Salad, as well. Now let’s make White Bean Dip! 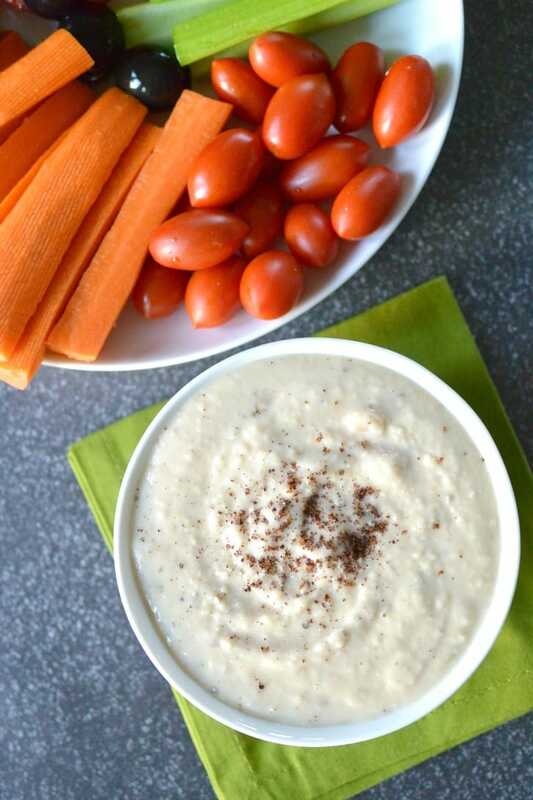 White Bean Dip is quick and easy to make with cannellini beans, tahini, lemon juice, water, and oregano. It's oil-free, vegan, and gluten-free. Add the beans, 2 tablespoons of the reserved liquid, tahini, lemon juice, garlic, oregano, salt, and pepper to a food processor. Process until completely smooth, scraping down the sides of the bowl as necessary. Transfer the bean dip to a covered container and refrigerate until ready to serve. Before serving, give the dip a stir and sprinkle with a little sumac, if desired. Serve with assorted vegetables for dipping. Be sure to reserve two tablespoons of the liquid from the can of beans before rinsing them. Hi Cindy! Great Northern Beans will work perfectly. I want to make a Vegan Tortilla roll ups for a birthday party. I want it to be like a cream cheese consistency to mix my shredded carrots, sweet red bell peppers can you tell me if this would be too thin? I don’t want a mushy roll ups. Hi Alamelu, I don’t think I would use this dip for roll ups. Personally I would use store-bought vegan cream cheese.